All out disclosure - Patent my French! I have already expressed the view several times on this blog that public prior use is usually a very difficult argument to prevail on, due to the extremely demanding standard of proof which is normally required. And this can of course be frustrating for a third party that positively knows that there has indeed been a public prior use. But from time to time, the argument does succeed, and it is then always instructive to see what made success possible. In the present case, the German cosmetic company Beiersdorf AG (think NIVEA®) is the owner of European patent EP 1834630. They initiated legal proceedings against two French companies which are part of a U.S. group, namely Laboratoire Bioderma and DIPTA, which later became Naos and Naos Les Laboratoires respectively (hereafter “Naos“). Beiersdorf deemed that Naos’ cosmetic products Photoderm AR SPF 50+, Photoderm Laser SPF 50+ and Photoderm Spot SPF 50+ infringed claims 1 to 3 of the EP’630 patent. In the course of the proceedings, the French part of patent was limited in front of the INPI, as is very usual in patent litigation in this country. Naos did not dispute that the allegedly infringing products implement the subject-matter of the EP’630 patent. But they argued that the patent claims are invalid because one of these products, Photoderm Spot SPF 50+, was publicly disclosed before the priority date of the patent. characterized in that they contain from 0.001 to 0.5 % by weight of glycyrrhizin and/or glycyrrhetic acid, relative to the total weight of the preparation. The main purpose of the claimed “preparations” is to increase pigmentation of the skin and avoid UV damage to the skin. Compound (ii) is also known as Tinosorb S, which is much easier to write and read, thank you very much. A letter sent to a laboratory in Brazil on December 1, 2005. A product datasheet certified by the Chamber of commerce of Lyon on November 31, 2005, intended for registering the product with the Brazilian administration. 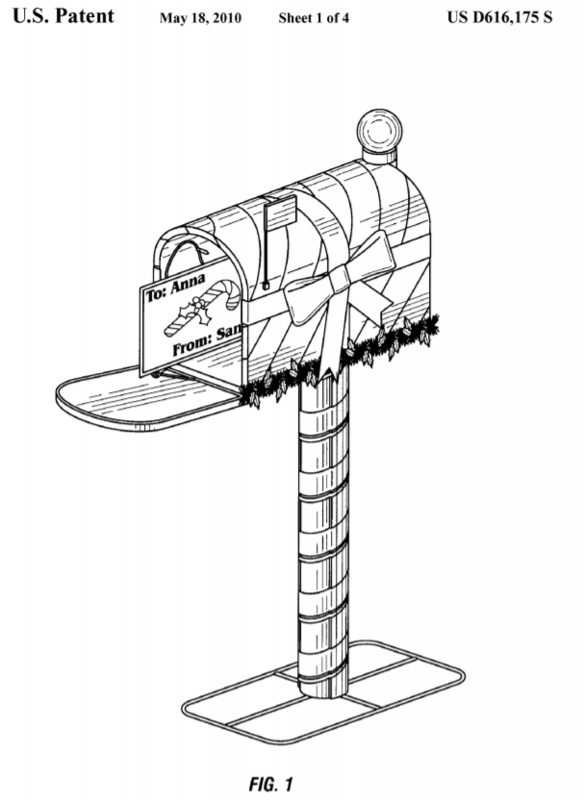 Product datasheets sent to French and Portuguese poison control centers on December 6, 2005. Various letters for the purpose of registering the product in Ukraine, Greece, Romania and Venezuela, sent in January-February 2006. A pass for press sent to a printing company for printing the Photoderm Spot packages in December 2005-January 2006. Sending letters all around the place. Some of the evidence was discarded by the court. In particular, the pass for press was deemed to be an insufficient disclosure because the packaging to be printed did not contain any information on the amounts of the ingredients in the product. All of the other documents contained the complete information on the composition of the product. However, the letter sent to the French poison control center was also discarded because the center had to treat it in a confidential manner, under French law. […] On the one hand, as many as five pieces of evidence of a disclosure to third parties, on a number of territories, in France and abroad (Brazil, Portugal, Ukraine, Greece, Romania, Venezuela), of the qualitative and quantitative formula of the product at stake, were filed. These documents were sent between December 1, 2005 and February 23, 2006, which is before the priority [date]. On the other hand, these documents were sent to different recipients able to appreciate their contents, as they are used to processing this kind of information, since they were intended either for laboratories or for foreign people and/or authorities in order precisely to prepare the launch of the product and/or to obtain the required authorizations, thus aiming at a distribution to the public. Besides, some shipments were accompanied by a “free sale certificate” which precisely suggests that the communication made was specifically intended to be distributed to the public. Lastly and most importantly, none of these documents comprises any express mention of confidentiality by DIPTA, which carried out the shipments to these recipients, and thus any prior identification by this company of their confidential character. Only the one sent to the poison control center in Portugal made an implicit reference to this as it mentioned a shipment under “sealed envelope”, as well as the shipment for registering the product in Venezuela as it mentioned the “restricted use quali-quantitative formulas for actives and substances”. However, these mentions, which are not present in the other shipments and which are vague and unclear, do not make it possible to deduce an express request for confidentiality. The court concluded that the formula of the Photoderm Spot SPF 50+ product was indeed made available to the public before the priority date of the patent. Since the formula comprises 0.1% of glycyrrhetic acid and 1.5% of Tinosorb S, claim 1 was found to lack novelty – the same conclusion applying to dependent claims 2 and 3. Therefore, Beiersdorf’s action failed. Every public prior use case is unique. And I have the distinct feeling that the outcome of this one is closely related to the large number of (inter-related) disclosures of the cosmetic formula. One or two shipments might have been possible to overcome, but multiple shipments were probably too high of a hurdle. Although the court recalled that the burden of proof lies with the nullity claimant, it was certainly more difficult for Beiersdorf to convince the judges that shipments carried out all over the place were all confidential – in the absence of an explicit mention on the letters. It can be surmised that, even if the court had not concluded that there was a lack of novelty, Naos would then anyway have been in a quite good position for a non-infringement defense based on prior user’s rights – which was their auxiliary argumentation. CASE REFERENCE: Tribunal de grande instance de Paris, 3ème chambre, 2ème section, March 9, 2018, Beiersdorf AG v. Naos & Naos Les Laboratoires, RG No. 14/08701.